Keen to try a new facial hair style but not quite sure what or how? Struggling to trim an even stubble or to decide whether to go for a tidy neckline with your beard? Or simply had enough of razor burn and looking for a way to make shaving that tiny bit easier and more comfortable? Common issues for the modern man but a new app may have the answers. The Grooming app by Philips, developed with internationally renowned barbers and style experts, offers a nifty feature that allows you to photo-realistically try over 20 different beard or moustache styles directly on your face, simply by taking a photo, so you can quickly see if a style would suit you. If you are after proper expert advice, the app also has an advanced Style Advice algorithm that makes a personalized recommendation of which styles would suit you best, based on your individual facial features, hair growth, lifestyle preferences and more, making deciding on a new look easier than ever. And of course, the app is filled with a score of tips and how-to videos, helping you create whichever style you want, even if it is a ‘simple’ clean shave. On that note, for clean shaven men, there is also a special Shaving Advice feature, offering a tailored recommendation on how to optimise your shave, based on the hair and skin across your cheeks, jaw and neck. All pretty useful! Whilst you do not need to own a Philips shaver or beard trimmer to use the app or any of the features above, men who do happen to have a shaver from the brand new Philips Shaver series 9000 range, have the added bonus of a snazzy interactive product guide. 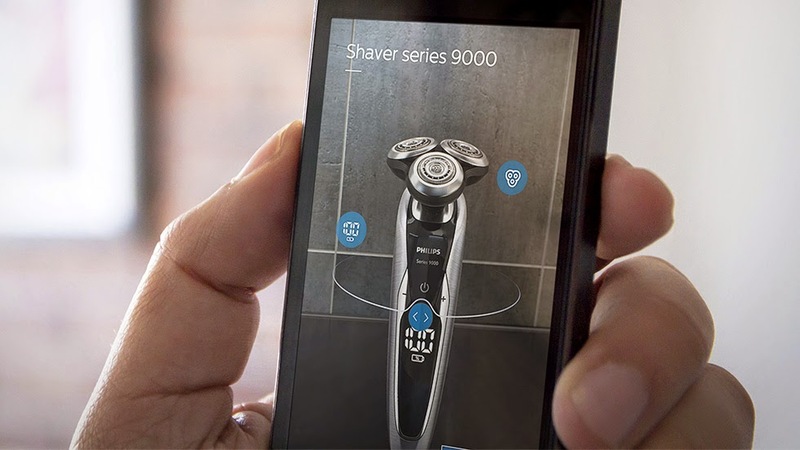 The combination of the Grooming app with the Philips Shaver series 9000, designed to deliver the perfect shave in every pass, means that the latter is officially the world’s first ever shaver powered with a digital guide. Download the Grooming app here for iOS: Philips.to/groomingapp_ios. Download the Grooming app here for Android: Philips.to/groomingapp_android.